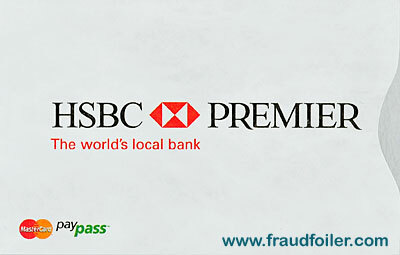 Protect your credit card or smart pass card from unauthorized skimming, scanning, cloning, reading, relaying or tracking. Complete RFID chip protection for your credit cards with the same protective sleeve technology that is used for Passport and government identification cards. Unauthorized reading of your card is foiled. Radio Frequency Identification is the ability for a card to be signaled and read from a distance. This is being used on product tags in retail stores and warehousing. Audits can be done by walking a reader down the aisle and knowing instantly what is in stock, what sizes and colors. Employees and visitors within a building or company can be tracked, located during an emergency and accounted for. An RFID is being used on new passports worldwide with the information on the first page of your passport stored on the chip. Some countries will be using security that will allow entrance based on the scan of your passport. Some high value shipments are being processed with an RFID inside for tracking and surveillance. Security systems and cameras are triggered by RFID. Some states are using RFID in the new drivers license. It will permit law enforcement to know who is in a vehicle from long range prior to engaging the driver. 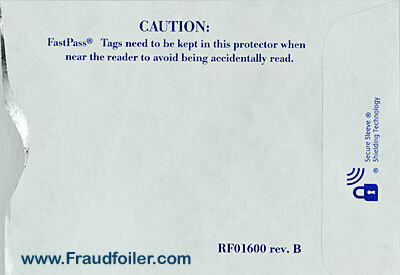 Quick pass cards have been using the RFID technology at the gas pumps for convenience and safety for years. Much the same as the new key-less ignition systems on automobiles and smart pass systems on toll booths. Credit cards in the U.S. are just beginning to use them, after the success European countries have had with them in combatting fraud. Magnetic strip cards are being replaced with the secure RFID embedded cards. The way it works, is an inactive silent chip is embedded in the card with an antenna going around the perimeter of the card. When an RFID probe reader is within range it sends out a ping signal to activate any RFID within range, thus activating the card RFID chip to come to life. It answers and responds with the information stored, account number, expiration date and other information, just as it is programmed to do. Account number and expiration dates are easily obtained in bulk. A person walking through a mall can read and store cards by the hundreds undetected. 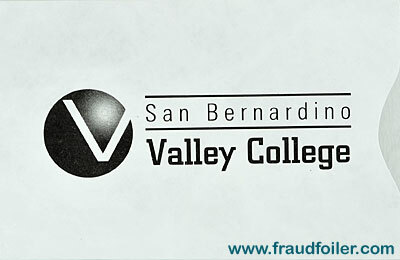 Depending on the hacking equipment employed, unprotected cards can be read from several feet away to hundreds of yards away. My first exposure to RFID credit card hacking came about during holiday season of 2009. My wife and I were shopping at the Outlet Mall in Hagerstown, MD. 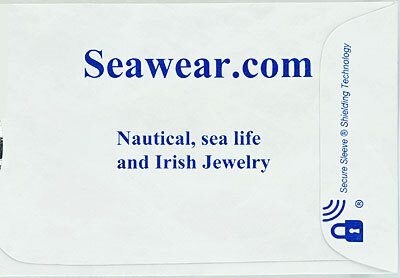 I got into a conversation with the manager of a store regarding credit card fraud as my retail business (Seawear.com) had been hit hard that year. She went on to tell me how her two new credit cards had been scanned and cloned while in her wallet, in her purse, behind the counter. She had no idea until she tried to purchase gas for her car on the way home and her cards were maxed out. At the time, she nor I knew anything about RFID and I assumed her magnetic strip had been scanned. 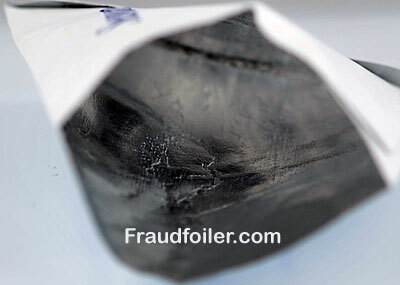 Now, I know better and my cards are shielded with FraudFoiler protection sleeves. Believe it or not, it is safer. The card does not need to leave your possession. You can swipe it over the check out terminal for purchases or dinner. There is no chance for a dishonest person to quickly skim it or copy your details. Safety and security becomes the cardholders responsiblilty. 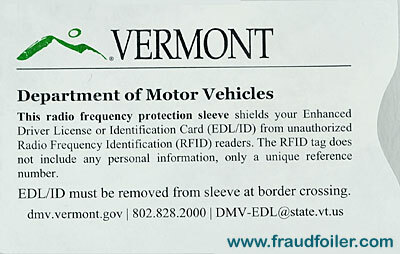 Government issued cards are mandated to be kept in their protective sleeves at all times. 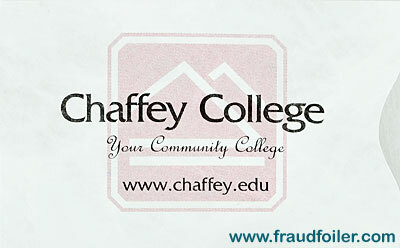 Shouldn't you be offering the same protection and security to your cards that you are liable for? 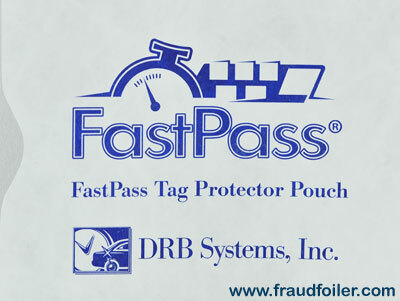 How does RFID Fraud Foiler work? There are two type of card sleeves being sold. 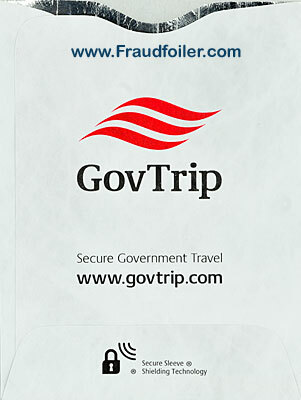 One is a simply Tyvek sleeve that protects the card from being scratched or broken. It does not protect the card from illegal RFID skimming. The second type of sleeve being sold is the one that looks like foil on the inside. This is actually a Faraday Cage or Faraday Sleeve that creates an enclosure out of conductive material. No signal can enter to turn on your RFID chip, and no signal can escape. An electrostatic shield is created protecting your card from being read, skimmed or cloned. As far as your card is concerned, all outside electric signals have been canceled. Your RFID chip stays asleep! If you are a fan of CSI, one of the 2008 episodes had a store clerk that put a reader inside a very expensive purse for sale in a store. It was able to read and store the credit card details of customers shopping! NCIS "Enemies Foreign" on November 17, 2010 showed just how easy it is for a person to walk through a crowd, scan credit cards and transfer debit card balances to their own card or account with an iphone. There is a card scanner that also plugs into the earphone of any cell phone device so that you can scan a card you actually have possession of. 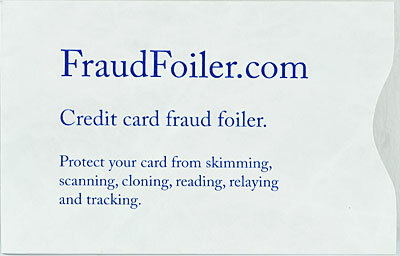 Your card easily fits within a FraudFoiler protective sleeve, then can be placed in your wallet or pocket. Ten dollars for five card protective sleeves. Shipped by US Postal within the USA. Banks, credit unions, large businesses or government agencies contact us for wholesale pricing and imprinting, minimum order is 5,000 sleeves. Delivery time with print is 4-6 weeks. You may use your PayPal account to order with any credit card or debit card. Outside the USA please send in $12.00 USD to cover foreign shipping rates.